C’est Chic is the second studio album by American R&B band Chic, released on Atlantic Records in 1978. 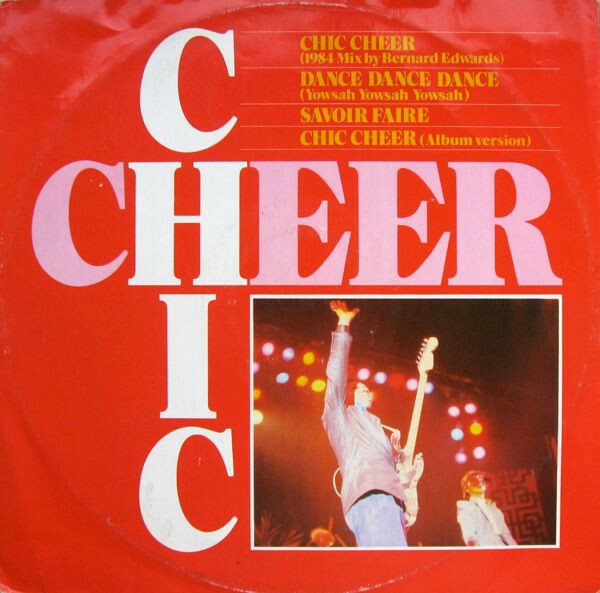 C’est Chic includes the band’s classic hit “Le Freak”, which topped the US Hot 100 chart, US R&B, and US Club Play in October 1978, selling six million copies in the US alone and is to date both Atlantic Records’ and parent company Warner Music’s best-selling single ever – a record it’s held for 35 years. The album also contains the hit single “I Want Your Love” (#5 R&B, #7 Pop, #4 UK). C’est Chic reached #4 on Billboard’s album chart and topped the US R&B chart for eleven weeks. C’est Chic was Billboard Magazine’s 1979 R&B Album of the Year, claiming the number one spot on Billboard’s Year End Review. The album was certified platinum by the RIAA, selling over a million copies. In the UK it peaked at #2 and has been certified Gold by the BPI. The European version was originally called Très Chic, with the cover featuring a woman wrapped around a neon light tube. It was withdrawn and replaced with the C’est Chic version with a less risqué cover. Très Chic had a different track listing. C’est Chic was released on compact disc by Atlantic Records/Warner Music in 1991 (catalogue number 7567-81552-2). The album was digitally remastered and re-issued by Warner Music Japan in 2011.